Welcome to the official McKenzie Westmore site! Actress and host McKenzie Westmore is certainly no stranger to the film and television industry. A member of the legendary Westmore family, McKenzie started her career early, at the age of three, when she was cast in "Raging Bull", as Robert De Niro’s daughter; and can be seen as the host of SyFy’s exciting new special effects and make-up competition series "Face Off." Most widely recognized for her 10-year run as "Sheridan Crane" on NBC’s popular daytime drama "Passions", Westmore’s additional television and film credits include "Weird Science", "Star Trek: The Next Generation", "Star Trek: Voyager", "Dexter", "Surviving Suburbia", and the Star Trek feature film "Insurrection." Westmore also played a recurring role on ABC’s hit daytime drama "All My Children." In addition, she can be seen in the HBO webseries "Apocalypse Wow!" and in the independent feature film "Vile" scheduled for release in 2011. When she is not working in front of the camera, Westmore can be found working hard behind the scenes, writing and producing on several new projects currently in development. A health, beauty, fitness and nutrition enthusiast with a background in personal training and nutrition, Westmore is also developing a line of wellness products created to enhance the health, beauty and well-being of women everywhere. 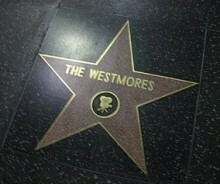 Westmore is so proud of her rich family heritage and was thrilled to celebrate in 2008 when the Westmore family received a star on the Hollywood Walk of Fame in honor of their pioneering work in the world of film and television make-up and the combined family contributions to over 2,000 films and television series. All images, logos, audio & video are property of, and © copyright by their respective owners.